New works are always being added so be sure to check back soon! 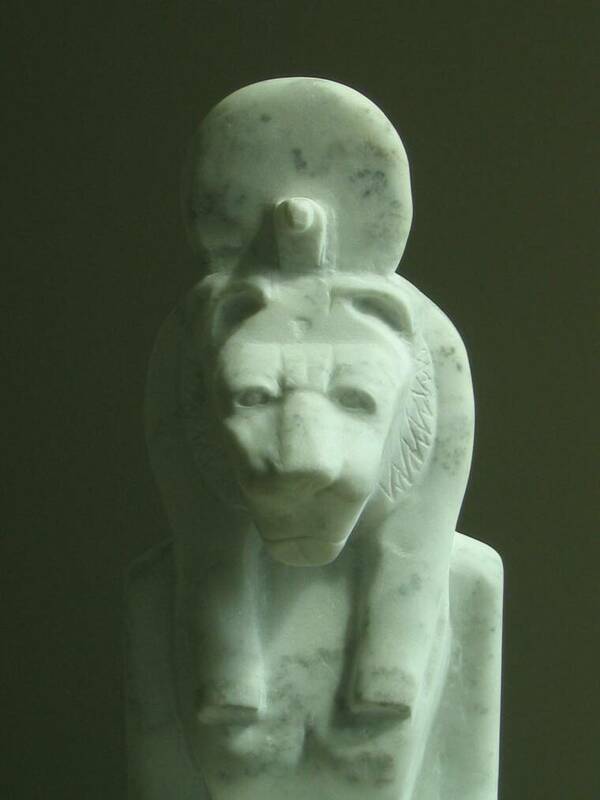 The ancient Egyptian goddess Sekhmet seated on a throne carved in Italian Carara marble. 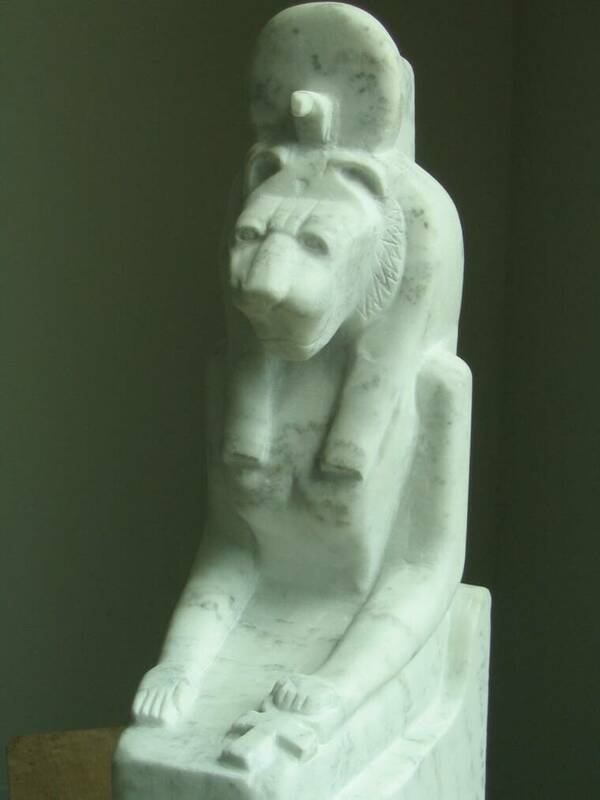 She was part of the traditional Memphite triad, wife to the creator Ptah & mother to Atum. As the religion developed she had nearly 200 titles, but her main purpose was to act as the deity of war & protect against illness. During the reigh of Amenhotep III hundreds of these anthropomorphic images were carved in granite at the temple of Karnak in Thebes, probably because of great plagues that ravaged Egypt at the time. In her hand she holds an Ankh, the symbol of Life. On her head is a solar disk & serpent, indicating her divine association with the sun god Re, since she could bring either good or bad affects on mankind via the sun's heat. 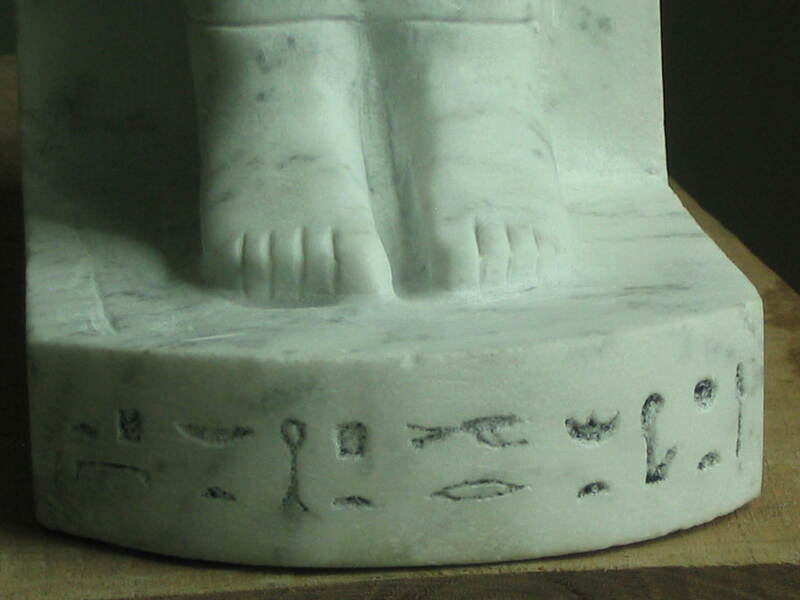 Egyptian statues such as this are meant to evoke a presence with the deity via a frontal view. Unlike classical Greek or Roman sculpture which had dynamic designs, Egyptian sculpture demanded confrontation. The piety of the viewer was a function of the pose, to directly address their prayers in front of & towards the god. 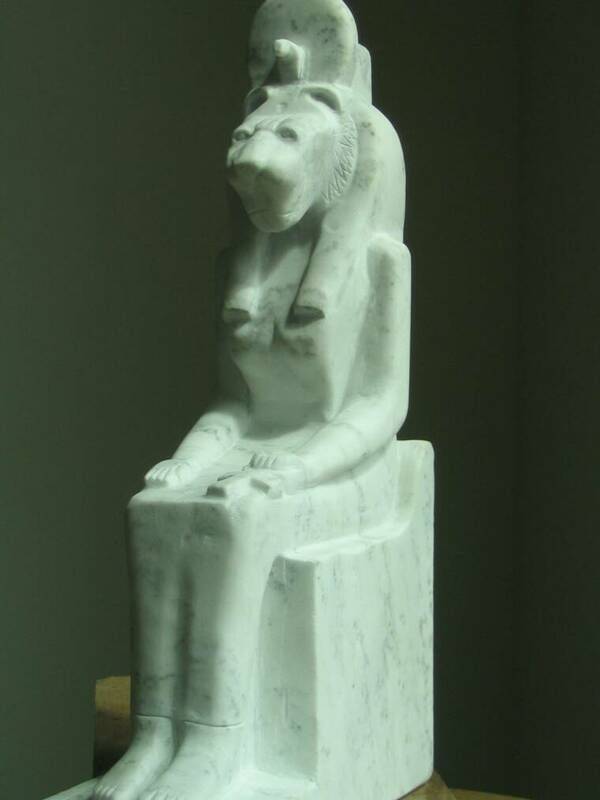 "Sekhmet, great wife of Ptah (the creator), Lady of heaven."